The study of arms and armour as art and the significance of military monumental effigies in art-historical research are two of the legacies inherited from the late A V B (Nick) Norman. It was at his initiative that a Society was established for the study of church monuments, with related publications to encourage and extend work in the field. His own research included many volumes of his minutely detailed drawings and these, together with his knowledge, enthusiasm, and genial personality, inextricably linked with Scotland, will long be remembered as keystones of the Society. Sally Badham 'A New Feire Peynted Stone': Medieval English Incised Slabs? Incised slabs are commonly regarded as minor monuments, lacking visual impact and chosen by patrons only when they could not afford more conspicuous monumental types. This paper challenges the assumption, presenting extensive material and documentary evidence concerning the use of polychrome and applied decoration on incised slabs, and examines how this affected the way in which these monuments were perceived by their intended audience. With such decoration, incised slabs would have been eye catching even positioned on the floor, and would therefore have fulfilled their primary function of attracting the attention and the prayers of the faithful. 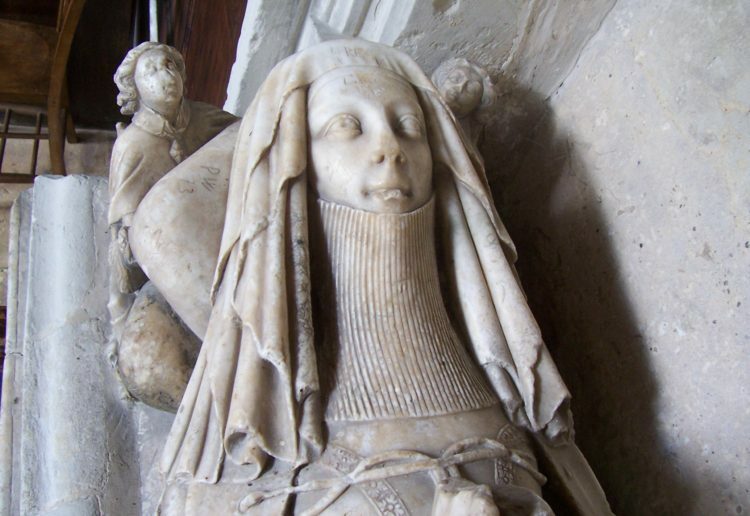 This paper examines the destruction of tomb monuments which took place on an unprecedented scale in England in the middle of the Sixteenth Century. It analyses the effects of the Dissolution of the Monasteries on tomb monuments and on the attitudes to the dead, then proceeding to consider the impact of the Reformation under Edward IV, with its abrogation of the doctrine of Purgatory, the dissolution of the chantries, and the new onslaught on monuments of the dead. Throughout this essay, attitudes to towards tomb monuments are situated in the contemporary religious and political climate : it is argued that the changed functions, styles, iconography, locations and formats of monuments in the second half of the Sixteenth Century must be directly linked both to the massive destruction of tomb monuments in the middle of the century and their continuing contentiousness. This period id the most important in the history of Christian tomb monuments in this country and constitutes the critical division between medieval and 'early modern'. It is fundamental both to an understanding of medieval monuments and to an appreciation of those of the later sixteenth century and beyond. This article discusses two tomb monuments in the village church of Modave (near Huy, in the former prince-bishopric of Liège), erected for Jean-Gaspar, comte de Marchin, in c. 1672. One is by Lucas Faydherbe; the other is attributed to him, principally on account of a comparison with a series of monuments in the Southern Netherlands erected for other aristocratic persons who knew the comte de Marchin and who copied him. A complex design and production schedule is suggested and placed in the context of a biography of the comte de Marchin that is brought together here. This shows the comte de Marchin's interest in raising his social status by a number of devices, including the one of erecting a bogus tomb monument to his grandparents and having his (partly invented) family tree published in a genealogical manuscript. The twenty-fifth anniversary of the Society is an appropriate occasion upon which to consider how attitudes towards funeral monuments have changed over time. 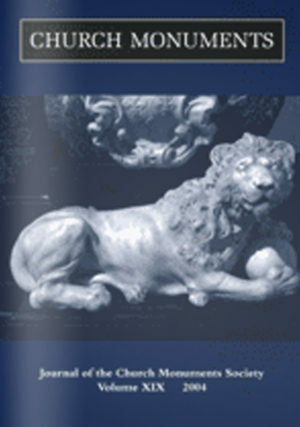 Reflecting on the fundamental contribution made by Horace Walpole to the study of English monuments of the post-Reformation period, this article sets his work within the context of mid-eighteenth-century antiquarianism and seeks to reveal the aims and limitations of that methodology by taking as a case study a pair of early-seventeenth-century monuments in Salisbury Cathedral. Philip Ward-Jackson Carlo Marochetti and the Tombs of Napoleon at the Dôme des Invalides, Paris and the Duke of Wellington at St Paul's Cathedral, London. In quick succession, the French and British governments of the mid-nineteenth century were faced with the task of creating shrines for the greatest military heroes, Napoleon and Wellington. This article examines the inevitable parallels and the equally inevitable differences between these two monumental projects, both of which commanded space within hallowed baroque ecclesiastical structures. Carlo Marochetti, who attempted to win the commission for both monuments, appears as a 'living link' between them, and it is suggested that his abortive project for Napoleon's tomb significantly affected the choice by Alfred Stevens of a renaissance-style tiered structure for the tomb of Wellington. In reviewing Rachel Dressler's book Of Armour and Men in Medieval England, the authors examine how the study of medieval military effigies has progressed over the twenty five years that have elapsed since the formation of the CMS. The validity of Dressler's stated aims and the extent to which they are achieved are scrutinised in the light of other recent publications and queries are raised about some of her theories and conclusions. The book should be read with caution, as the author's somewhat limited knowledge of English military effigies, armour and the status of knights in particular is thought likely to mislead and confuse the non-specialist.